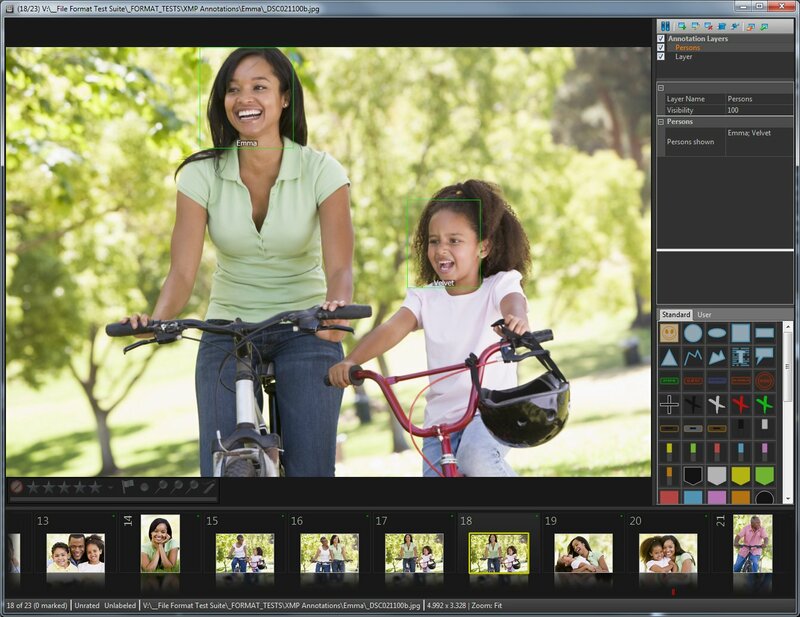 Viewing, using and editing face tags created in Google Picasa or Adobe Lightroom is easy in IMatch. When importing files, IMatch extracts face annotations created by these products from the XMP record and converts them into IMatch Face Annotations. 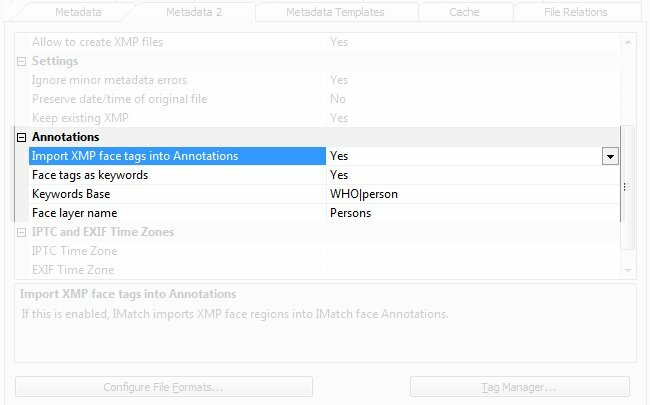 When writing metadata, IMatch converts Face Annotations back into XMP regions automatically. This fully integrates faces into the powerful IMatch Annotations concept, while ensuring compatibility with all applications that support XMP face regions. 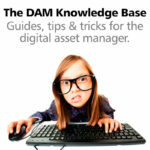 The digital asset management system IMatch 5 contains a face detection feature in the Viewer which works in conjunction with the unique IMatch 5 Face Annotations. With a single mouse-click you let IMatch 5 detect all faces in an image and then you tag these faces with a name. IMatch optionally converts this face tag into a hierarchical keyword. Working with Face Annotations in the Viewer is easy, and fast. In addition, IMatch supports XMP face regions created by other applications. Since IMatch handles the conversion between simple XMP face regions and IMatch Face Annotations automatically, you don’t need to do anything – it just works seamlessly. Working with Face Annotations in the IMatch Viewer. Click for a larger view. Picasa is an entry-level image cataloging software from Google. The most notable feature of Picasa is that it employs the very advanced face recognition technology developed by Google. IMatch can import face tags created in Picasa. If enabled, IMatch automatically converts face annotations into IMatch annotations, and the name tags into hierarchical keywords. It also maintains dedicated collections for images with face annotations, which makes it very easy to find and see all files with one or more persons. You need to configure Picasa to store face annotations in the XMP metadata inside the image file (Picasa only supports this for JPEG files at this time). Otherwise the data is only stored in the proprietary Picasa database and not accessible for other applications. Configure Picasa to store face annotations and tags in the image file. IMatch offers a number of options which allow you to control if you want to import face tags from Picasa and how to treat the tags assigned to these faces. You find these options under Edit > Preferences > Metadata. Press <F1> when the dialog is open to display the corresponding help topic with detailed information. If you tag faces in Google Picasa and save these changes afterwards, IMatch imports the face information automatically and displays them as annotations in the Viewer. Face tags created and written by IMatch are also visible in Picasa. Recent versions of Adobe Lightroom also store face tags into XMP, using the format recommended by the Metadata Working Group. IMatch supports these face tags automatically and converts them into IMatch Face Annotations. You can see and edit them directly in the Viewer. When you make changes to Face Annotations or you create new Face Annotations in IMatch, they will be saved to the XMP record associated with the image file. Lightroom then picks them up automatically when you let it reload the metadata. 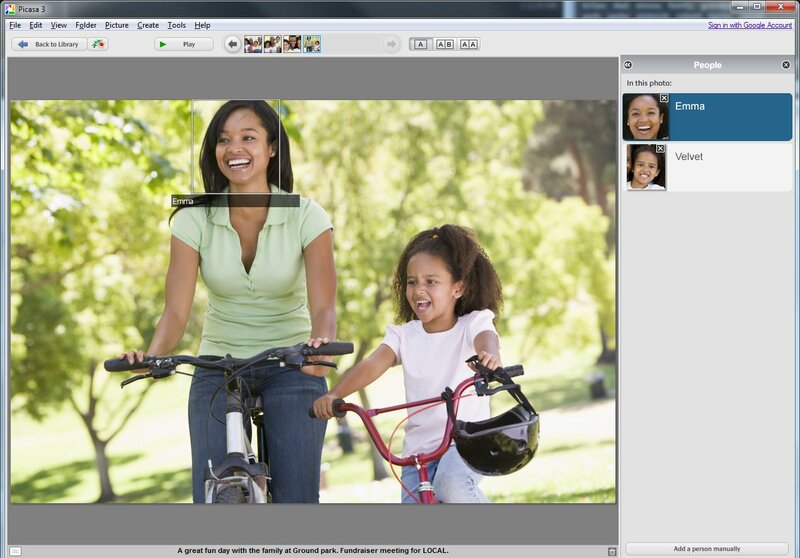 By enabling face tag import in IMatch 5, you can reuse existing face tags created in Google Picasa or other software. The only requirement is that these applications have to support the standard XMP metadata face annotation format, as defined by the Metadata Working Group. IMatch converts the simple name tag added in Picasa into a proper hierarchical keywords and even allows you to specify where in your keyword hierarchy to import face keywords. The dedicated collections maintained for images with face annotations allow you to find images showing specific persons with a single mouse click. Since IMatch also supports the face annotations managed by Adobe Lightroom, you have a perfect end-to-end workflow with either application.